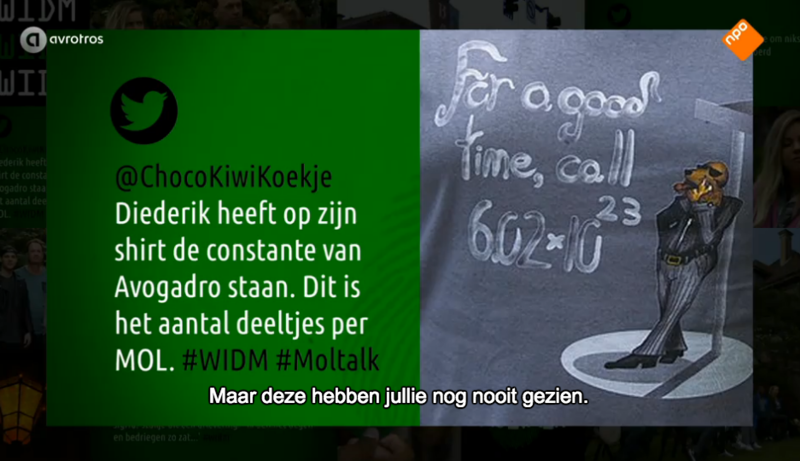 The Mole: Wie is de Mol 2014! In post 198, Fenchurch wrote: Or maybe Taeke really is the mole... and they're planning to do a surprise bring him back next week. That'll be it. I find your ideas intriguing and would like to subscribe to your newsletter. Also an episode without Rop just wasn't an episode. eek! Just a couple more hours! I'm awaiting TaekeTaeke's reveal as Secret Mol with great anticipation. Not the winner I expected. The mole actions were somewhat possible to piece together when you got on the right track. Otherwise nice feelgood TV. I don't know if the mole is to blame or the candidates that he was the most suspected player. Yeah mole was obvious after my traditional 'hardheaded 100% mole guess' was gone. Oddly enough a lot of the clue theories were right. Winner became slightly obvious the last real episode when it was super positive focused for Tim. In post 206, Papa Zito wrote: I'm awaiting TaekeTaeke's reveal as Secret Mol with great anticipation. I would like to note that Tim was wearing TaekeTaeke's jacket at the end so that counts no you shut up. I have a hard time believing not one person out of the entire group saw any of those first envelopes. The reveal that Klaas took money from the rock climbing challenge, though. I didn't come up with it... I think it was mentioned on moltalk or one of the fansites. CES thinks he might have thought it himself. Anyway, the idea of Annemieke and Tim watching that episode at home afterwards, and realising the possibility, is perhaps the best bit. Mainly I thought the clip that peg posted at the top of this page was the (hilarious) clincher! That page did previously have theories about alternate moles, but they seem to have gotten rid of all the other ones now, which is a shame. It was interesting to see because there were a lot more about Klaas, which made it a bit of a shame and less of a surprise when it really was him. Klaas has afterwards stated that he was a bit annoyed by the hint of episode 2. People caught onto that and it very soon made him "obvious" to the more serious watchers. It was possibly a bit too easy. And I'm tempted to agree with him, looking back at his actions throughout this episode, he did do a seemingly ok job of hiding himself initially. It was a bit of a disappointing season to me because idk, I"m not supposed to actually find the mole and agree with the majority Might be more on the producers than the mole here, some of the other moles that this happened to were actually quite bad. ok so 2017 version just started. i gotta watch it soon. The binoculars and bridge challenge was a lot of fun to watch. I enjoyed Roos' attempt to lie to the others about getting the exemptions, and then the twist in the cinema. I found it annoying when Vincent didn't use his exemption in the end, and yet Roos, Thomas and Jeroen all used theirs because they thought Vincent wasn't gonna back down. Seemed like if Vincent had made it clearer that he had changed his mind (perhaps the issue was, he didn't make his mind up soon enough) then he could have persuaded the others to go with the group exemption and he wouldn't have been sent home. Roos and Thomas seemed open to doing the group exemption anyway, and I suspect they could have pressured Jeroen into it. Shame that there doesn't seem to be a good quality English sub available yet - if anyone has one, please share as I know a few people who want to watch! There is a version on youtube and dailymotion but it's very low quality - although the subber says she's working on improving it for next time. Hilarious episode. I enjoyed the many grey fog shots and rodeo/country music which is all very Portland. Jochem, for his proposal about the division of labour over the envelopes. He suggested that one group go for the £1,000 and £750, whilst the other go for the ?, £250 and £500. Seems like it would have made much more sense to split the £1000 and £750 between the two groups, and have those be the priority; the £250 and £500 could be left if necessary. Oh you too? I watched the first episode with JDGA and was like "Diedrick's my mole" from his first interview. well I've found someone that really cannot be it. In post 222, mykonian wrote: well I've found someone that really cannot be it. Love Sanne this episode. She's amazing.